The so-called Financing Plan of the president of Colombia, Iván Duque, is already in the Congress. This bill, presented by the Ministry of Finance, aims to raise 14 trillion pesos for the national budget during its first year, so that the Duque government has the resources to carry out some of its proposals, such as six days without VAT a year and the reduction of income tax to companies. A key within the Financing Plan is the extension of the VAT, of 18%, on multiple products of the family basket, particularly foods, that before were not taxed. According to the magazine Dinero, VAT will cover 80% of the family basket and exclude products such as feminine hygiene items, public services, education, leases, and seeds. The VAT would then be reduced to 18%, and according to the proposed bill, would fall to 17% by 2021, which would increase the number of products to which the tax will be applied. According to the same magazine, this increase in the proportion of taxed items will represent a collection of 10-12 trillion pesos for the government during the first year. In addition, the bill is provided with a VAT refund of 51,300 pesos for families whose income does not exceed a minimum wage. According to Camilo Pérez, chief economist at Banco de Bogotá, quoted in Bloomberg, the introduction of the bill in its current form could lead to a 100% increase in inflation, which would take it up to 6%. Such inflation has not been seen in Colombia since 2003, and if the increase turns out to be very sudden, it could trigger the alarms of the lenders and risk assessors. However, the bill could be modified as it is discussed in Congress. According to Pérez, President Duque could be willing to let go of food taxes, which would limit the increase in inflation to just 0.6%. Other analysts interviewed by Bloomberg agree. For Sergio Olarte, an analyst at the Brazilian financial company BTG Pactual says that no matter how gradual the introduction of new taxes, an increase of at least 1% in inflation is inevitable. Despite these warnings, the Ministry of Finance has already stated, saying that there is no risk for inflation in the Financing Plan. "Currently 53% of the family basket is taxed at 18%, what we are going to do is reduce that percentage, which will be beneficial for the average Colombian," said Deputy Finance Minister Luis Alberto Rodríguez. In addition, the vice minister assured that he trusts the Banco de la Republica to deal with inflation, which may indicate that the bill does not include contingencies for a possible increase in inflation. In an interview with Valora Analitik, Fitch Ratings sovereign rating analyst Richard Francis stated that the Financing Plan can allow the government to finance the expenses it plans to meet its fiscal goals. "We thought that the government could reach the goal with difficulty in 2019 despite the best oil prices, but now with the law guarantees the Government reaches the goal," he added. 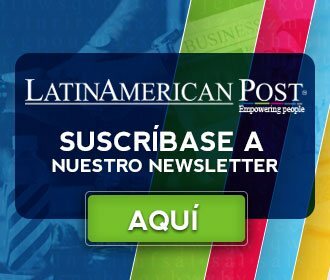 Translated from "Colombia: los nuevos impuestos de Duque podrían disparar la inflación"